Despite the abundant and diversified renewable energy sources (RES) potential in Bulgaria, the country has been seen primarily as a gas corridor and a constant arena for geopolitical interventions in the energy sector. Unbundling and liberalization have been progressing slowly. The market opening in Bulgaria has been impeded by the power of supply monopolies, the shaken credibility and independence of the regulator, the single-buyer model in the electricity and gas sectors and the regulated energy retail market. 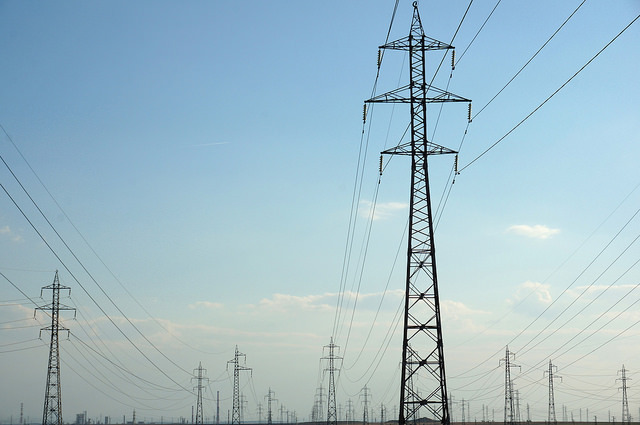 The highly regulated Bulgarian electricity market is dominated by a few major players that have built a supply monopoly in the country. Despite the legal unbundling of the three distribution system operators from its vertically integrated undertaking, there is no real competition on the distribution market that could enable consumers to choose their supplier, since there is only one licensed supplier in each geographical region. A recent study on the energy sector governance in Bulgaria highlights the state capture in the energy sector, the high dependency of the country on the imports of Russian gas and technology, the frequent changes in the legislative and regulatory environment and energy poverty as the major challenges in the energy restructuring process. As part of its commitments to fulfill the 2020 sustainable energy targets and promote the deployment of RES, the government adopted legislative measures to encourage their investment, such as the introduction of feed-in tariffs, the guaranteed purchase of green electricity, the conclusion of long-term contracts and a grid priority for renewable energy installations. With a total of 1568 MW of RES capacity installed in Bulgaria in the period between 2009 and 2013, the sector has developed rapidly, driven by the generous subsidies and incentives for green energy. As a result, the country exceeded well in advance its 2020 RES target (16% binding national target for 2020), reaching a total share of 19% in the energy mix in 2013. Without an appropriate regulatory framework and market model in place, however, this boom led soon to overcapacity of renewable energy generation and additional budget deficit of the national electricity supply company, NEK. This was one of the elements leading to higher prices for domestic consumers and businesses, and increasing social pressure. The rising electricity prices escalated in public protests, which led to the fall of the government of Boiko Borisov in February 2013. As a reaction to the rising social pressure, the government introduced retroactive changes in the renewable energy legislation in the period 2013 – 2015 that amplified the instability of the sector. The adopted measures are seen as the heaviest retroactive sanctions so far that are expected to change substantially the investment climate for renewable energy in Bulgaria and lead to policy uncertainty in the sector. In addition to energy poverty, the geopolitical crisis in Ukraine, the global impact of the financial crisis and the shutdown of two nuclear power plants as a condition for Bulgaria’s accession to the EU have exacerbated the country’s vulnerability in terms of energy security. After establishing the right regulatory framework, accelerating market liberalization and ensuring supply diversification, which is the software of the Bulgarian energy transition process, the next step would be to upgrade the hardware. This could be achieved through grid extension, increasing transmission capacity and modernizing the outdated electricity infrastructure. A vital role in this process will play not only the incumbent companies but also the energy regulatory authority with its tasks of setting network tariffs, monitoring the functioning of the domestic market and enabling network access for electricity produced from renewable energy. Its ability to cooperate with other national regulators and ACER would be paramount for facilitating cross-border trade of electricity and incentivizing investments in new energy infrastructure. The issue how to deal with overcapacity in the electricity market is key for the integration of renewables into the electricity grid in Bulgaria. Increasing the transmission capacity and introducing smart grid development could be part of the solution. Further national priorities should be the optimization of energy efficiency in the residential sector, the lowering of energy intensity in the industrial sector, the formulation of nationally binding targets for renewable energy for the period 2020-2030 and the elaboration of a stable regulatory framework. Social protection measures for vulnerable consumers need to be incorporated in the current legislative framework to address adequately energy poverty issues and mitigate the costs of energy transition for these consumer groups. By Radostina Primova – Senior Research Associate in the Environment and Sustainable Development Cluster at the Institute for European Studies (IES) of Vrije Universiteit Brussel (VUB). Next PostGermany is 20 years away from 100 percent renewable power – not!